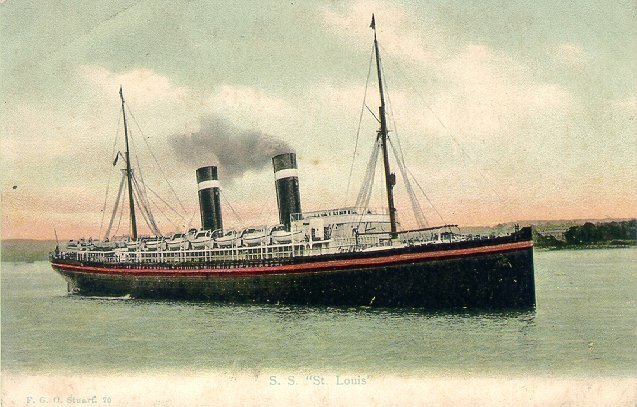 St. Louis was built for the American Line by W. Cramp & Sons of Philadelphia. Launched in 1894, she made her maiden voyage from New York to Southampton on 5 June 1895. 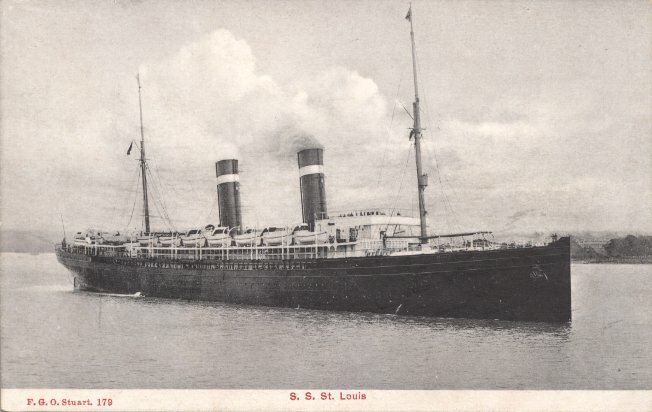 Although expected to be faster than their American Line consorts Paris and New York, St Louis and her sister St. Paul turned out to be significantly slower, and were taken out of service for modifications after only a few months of service. 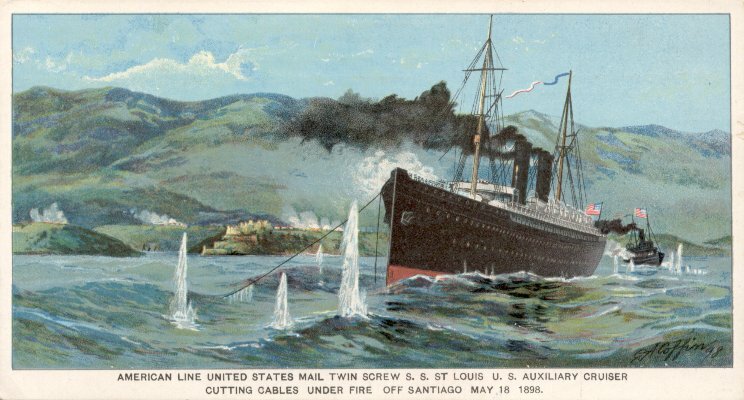 When they returned to service, they were considerably faster; St. Louis making a westbound crossing at 20.35 knots in August 1896. 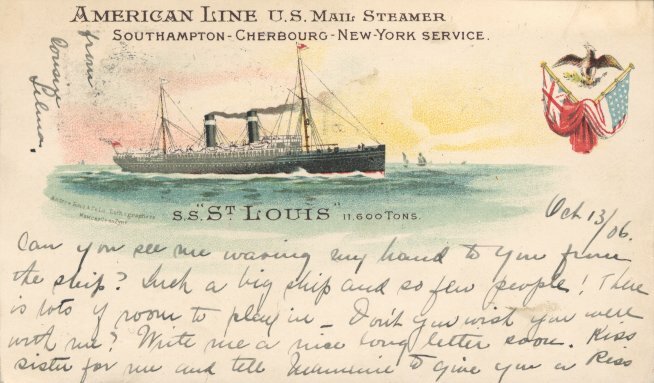 Chartered as an armed cruiser during the Spanish-American War in 1898, St. Louis returned to Southampton-New York service after the war, remaining on that route until 1914. In the interim, she was given new boilers and taller funnels in 1903, and was converted to carry second and third class passengers only in 1913. 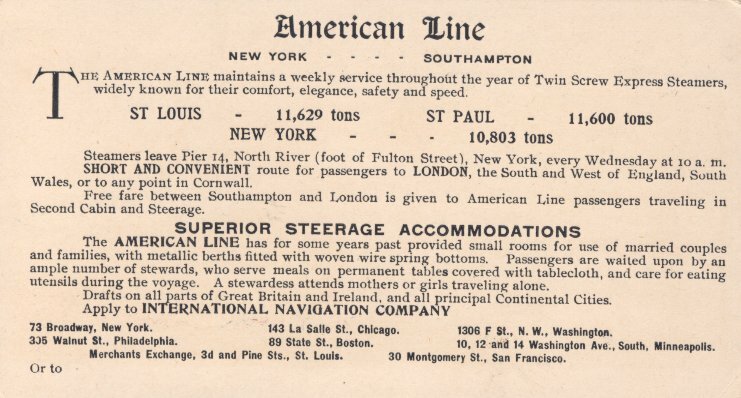 From July 1914 until April 1918, St. Louis sailed between Liverpool and New York. 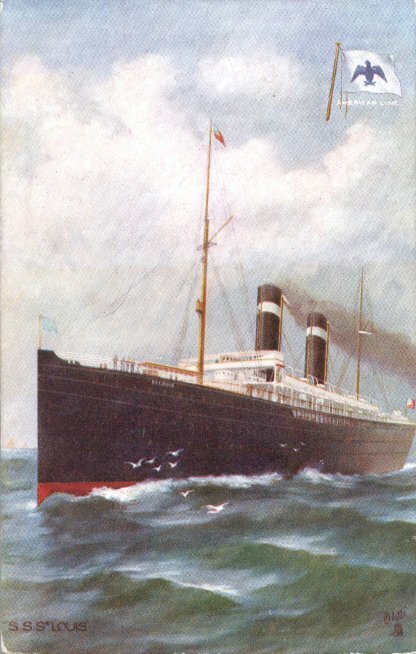 When the United States entered World War I, she initially remained in commercial service, but in April 1918, she was commissioned as a troop transport, under the name Louisville. 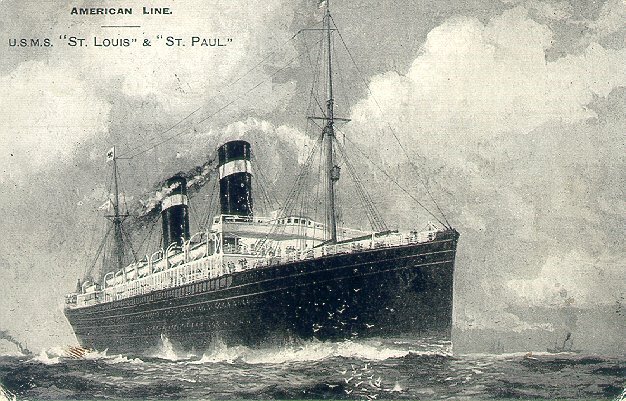 On 9 January 1920, while being reconditioned at New York for resumption of commercial service, St. Louis was badly damaged by fire. She never sailed again and in 1924 was towed to Genoa for scrapping.